I am a registered dietitian nutritionist and working mama living in South Louisiana. I run an intimate private practice, Food Therapy and online service for professionals Customized Nutrition Newsletters. In my nutrition practice I take an open minded approach to nutrition and work with my clients helping them discover the best way to nourish themselves. I don’t believe there is one diet or nutrition remedy for everyone. However, I also know there is a science behind what we put in our bodies, therefore it is important to blend that nutrition science with a lifestyle approach that helps create a healthy life. Why do you want to recover from disordered eating habits and transition into a healthy relationship with food? Why do you want to discover what foods are making you sick? Over the past fifteen years of working with clients if there is one thing I have learned is that once we find our why, we can always find our way. teaching how to fuel to perform better in all areas of life. As a Certified Sports Specialists in Dietetics (CSSD) I understand the value of nutrition when it comes to sports performance and therefore work with athletes looking to enhance their performance, while maintaining a healthy mind and body. Through the years of practicing I have observed that not all foods work the same for everyone and therefore find it important to respect and honor food preferences and needs. For the past ten years I have offered food sensitivity testing as another tool to help clients discover what foods enhance their life and what foods are making them feel sick. Taking a creative, personal and very pragmatic approach to food and nutrition counseling, ultimately we work together to discover the best way to fuel your body. At the end of the day my approach is simple, your success is found in: how you feed your mind, how you nourish your body, and how you use your talents to make the world a better place. From my passion of inspiring and empowering people to live better in all areas of life, Customized Nutrition Newsletters was born. 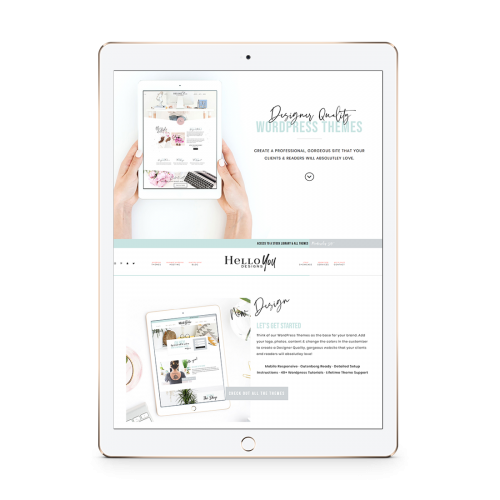 Created for busy nutrition entrepreneurs who are passionate about staying connected with their clients but struggle to find the time to do it on a regular basis, Customized Nutrition Newsletters provides pre-written, ready to use health content for e-newsletters and blogs. Working with a team of developers we created a unique system that integrates our content with integration with Mail Chimp or Constant Contact. This platform saves valuable time and resources every month for busy professionals. In 2010 the beginning of Foodspirations was born with “The Little Black Book of Foodspirations®”. Foodspirations® is an inspirational print and paper that I collaborated with Stephanie Weibring of Joy Creative. Each year we release a new word and card for the year, available to be used by professionals in their practice or by anyone looking to live better through the words they feed themselves with. One of my favorite ways to share with others is through writing on my blog or in my newsletter where I share tips and insight on feeding both a healthy mind and body. 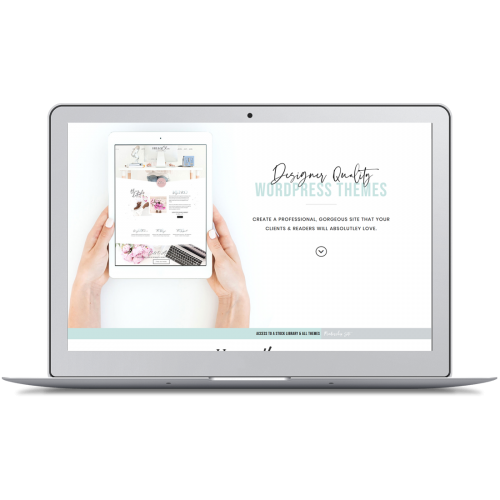 Currently I am a contributing blogger for Lafayette Moms Blog, sharing my thoughts on being a mompreneur (blending motherhood with running a business). Over the years I have been a contributor to: Active Acadiana, The Daily advertiser, Acadiana Moms, FACE Magazine, Inform, Sophisticated Women, D Magazine and Looks Magazine. As an active member of The Academy of Nutrition and Dietetics, Nutrition Entrepreneurs DPG, CAN DPG, IFFED, and Dietitians in Integrative Nutrition and Functional Medicine, being involved in these organizations have led to working with and learning from the best in my industry. Currently I serve as a dietetic internship preceptor for Franciscan Missionaries of Our Lady University in Baton Rouge and the on the website task force of SCAN. Over the years I have also served as the media spokesperson for the Louisiana Dietetic Association, the newsletter editor for Nutrition Entrepreneurs, and SCAN’s mentoring board for sports dietitians. After graduating from Louisiana State University with a BS in Kinesiology in 2001, I then went to pursue a second degree in dietetics and nutrition from Nicholls State University. In 2003 I completed my dietetic internship at Winthrop University in Rock Hill, South Carolina. After passing the registered dietitian exam in 2003, I had the opportunity to work in a variety of settings and with some amazing people. From 2003 – 2005 I worked at Pelican Athletic Club in Mandeville, Louisiana as well as a part time gig for WIC with St. Tammany Hospital. After getting hitched and moving to Dallas TX in 2005, I had the unique opportunity to work for TELOS Fitness Center and expand my nutrition and counseling skills. In 2008, my husband and I decided to move back to our roots in Louisiana and I started my practice Food Therapy and Customized Nutrition Newsletters. Today I have the honor of doing work I love while also raising my girls. In my spare time I love to get together with friends over a run, cup of coffee, meal, or phone call. As a creative outlet you can find me playing around with photography or writing new Foodspirations sayings. I seize every opportunity to get on the road and travel, whether it is to my home town of New Orleans or across the country on a new adventure. Find me a race in a new destination, gather my girlfriends and happiness is found.